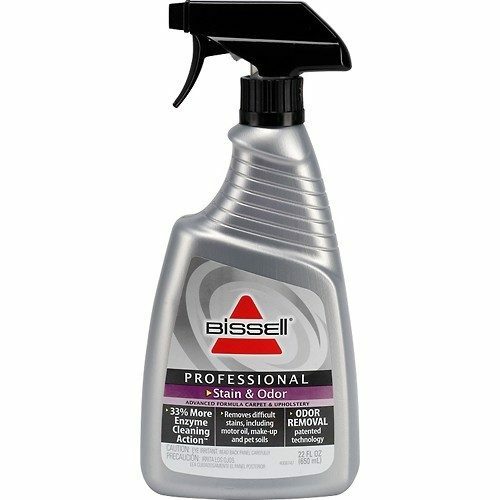 BISSELL Professional Stain And Odor Cleaning Solution Only $2.99! You are here: Home / Great Deals / BISSELL Professional Stain And Odor Cleaning Solution Only $2.99! Head over to BestBuy for a great deal on cleaning solution. Pick up BISSELL Professional Stain And Odor Cleaning Solution for Only $2.99! This 22 oz bottle contains solution that is specially formulated to remove stains and odors with an enzyme cleaning action! Normally $8.99! Save $6!